This is the 1930 24' Chris Craft Runabout by Dumas. 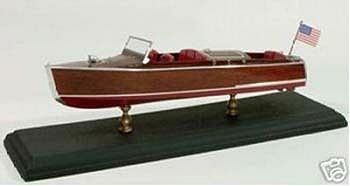 It is an all wood replica of the legendary runabout. This boat is from the Dumas's Laser Classic Collection. Retail $74.00 SAVE 28% !